Fruit flies survive and thrive in most parts of the world, and over a wide range of climates. Drosophilia melanogaster is actually a species of the house fly. Also distinctive is the greater attraction to ripened – even rotting – fruit, making them uninvited guests at many supermarket produce sections and local farmers’ markets. Extremely prolific, fruit flies lay as many as 500 eggs on a single piece of fruit. In the interest of family health and sanitary living, expelling these pests should be a top priority. This same principle holds true for glasses, dishes and utensils: leaving used items out to be washed later is a hazard since fruit flies love the jam, jelly, juice and wine that remain on them. Regular disposal and timely cleaning eliminates these unintentional invitations. For fresh fruit lovers, the idea of refrigeration as a preventive measure is not a desirable or acceptable option. The good news is that until the fruit is in the ripe-to-rotten range, any eggs deposited by fruit flies remain on the surface and are easily washed away. Yet that does not address the matter of how to get rid of fruit flies, or keeping them out altogether. The most effective thing to do is to buy fruit as you hunger for it, without leaving extra around for another time. OK, so you tried prevention but some flies penetrated your defenses. Now what? 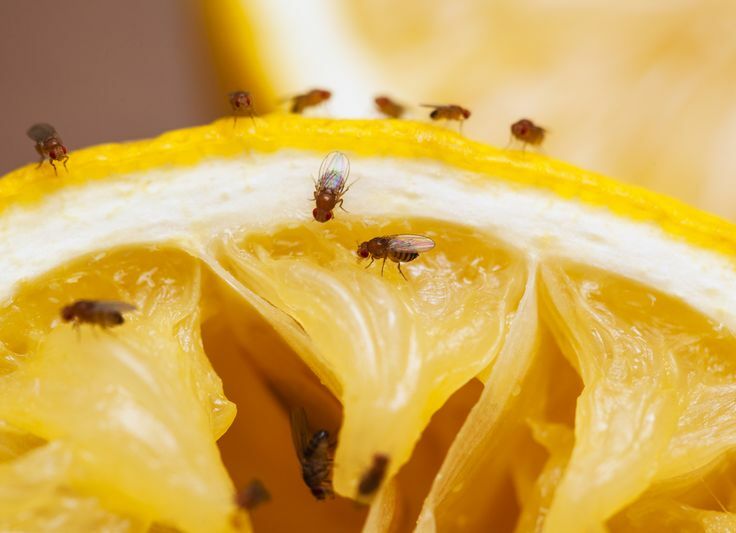 Anyone who wants to know how to get rid of fruit flies should best learn what attracts them. One surprising culprit attracts many humans, as well: beer. In reality, it is the yeast that brewers use that lures the fruit fly. In fact, breweries take extreme measures to keep fruit flies at bay because the yeast drives the insects wild. Belgian researchers uncovered volatile compounds – the very compounds that give beer its distinctive scent – that possess a gene at the root of the aroma. When the gene is removed from the compound, the fruit flies lose their passion. Two inches of water in a mid-size jar. Sealing the jar with plastic wrap and piercing the wrap with the tiniest of perforations creates an irresistible target for the flies which can get in but not out. Clearly, fruit flies are not teetotalers. In addition to beer, wine is also robust bait for these pesky pests. Scientists believe they can find an open container from half a mile away. Of course, this also explains the affinity for beer and overly ripened fruit – the fermentation process (to differing degrees) releases smells that compel the flies to draw near. This yields another answer to the question of how to get rid of fruit flies. As is the case with the yeast trap, a wine bottle is easier for the fruit flies to enter and almost impossible for them to exit. Do not let their miniscule dimensions fool you. Simply leave a little wine (fruit flies favor red, which has a more pungent aroma) at the bottom of the bottle and watch for the results. When the flies accumulate at the bottom of the bottle, simply cork and dispose of it. The scientists at the Pennsylvania State University’s cooperative extension service actually refuse to use the term “fruit fly,” choosing instead to call them vinegar flies. This is because what appeals to the flies is the biting whiff of fermentation, whether in ripened fruit or yeast or wine or …vinegar. The old adage that you can catch more flies with honey than with vinegar is pithy, but inaccurate. Vinegar contains all the properties that compel the fruit fly to come hither, especially acetic acid – the organic compound that produces the enticing bouquet. So, if you do not drink, neither should you have to go to the liquor store just to learn how to get rid of fruit flies. Apple cider vinegar works well to attract the flies. Sealing an open bottle with plastic – as done with the yeast solution – is a sufficient one-way pitfall if you poke a tiny hole in the top. Should the flies land but steer clear of the opening, coat the plastic with liquid dish detergent; they will slide effortlessly to their vinegary graves. Yes, we know what really attracts these insects is not exclusively fruit. Nevertheless, when struggling with how to get rid of fruit flies, fruit can be your best ally. As noted, the flies instinctively lay their eggs (which become maggots) on fruit that is well-ripened. Matured fruit is more likely to have pierced skin and the eggs will sink deep into the fruit, hastening the rotting process. What better inducement than a peeled and ripened piece inside a mason jar? A paper cone at the opening of the jar will serve as both incoming welcome mat and outgoing blockade. This method is from an Old Farmer’s Almanac, so you can bet it’s effective. Used in New England since 1850, it’s been helping people get rid of fruit flies ever since. The reason why the insects are so drawn to it is peculiar, but it may be the sweetness that reminds them of fruits. 1/4 pound of raw sugar. 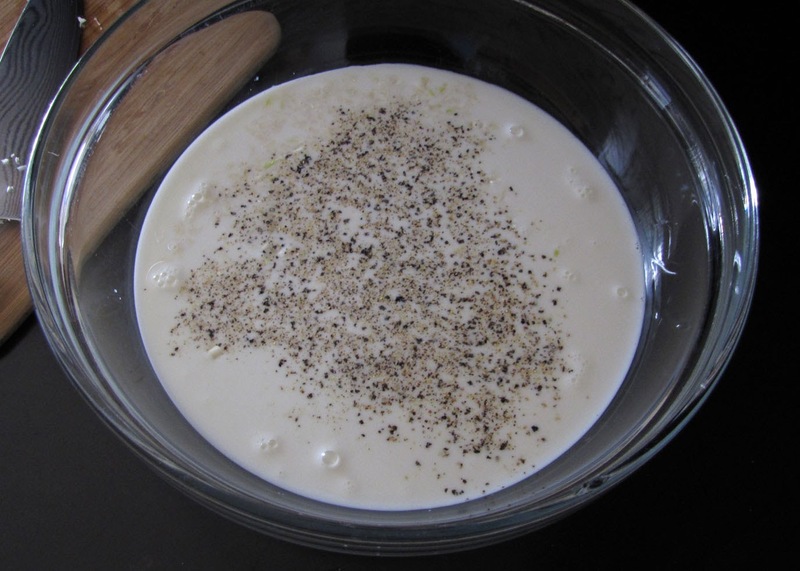 Place the ingredients in a saucepan and simmer for about ten minutes. Then pour the solution into shallow dishes and leave them around the house. Fruit flies will be drawn to the solution, where they’ll eventually drown. Tip: add a drop or two of dish soap to make the mixture even more effective. The fact is that fruit flies serve a needed ecological purpose. They are food for some species, like bats. Also, their maggots feed on agricultural pests like aphids. And they are not dangerous to humans. All the same, their presence in homes and industries can reduce the overall healthiness of the premises, creating an unpleasant and unhygienic atmosphere. That is why we occasionally ponder about how to get rid of fruit flies. Hey Buddy!, I found this information for you: "How to Get Rid of Fruit Flies: 5 Organic Approaches". Here is the website link: https://backtofarm.com/how-to-get-rid-of-fruit-flies/. Thank you.